A few days before I left for Brazil, my coworker, Nancy, commented that I was a brave person; she said that she was impressed that I not only moved to Chicago by myself, but also that I travel to exotic places. The funny thing is that I rarely FEEL brave. If anything, it’s more acting brave to get through certain situations. For example, flying to Rio de Janeiro on my own. Yeah, I’ve traveled on my own to many places, mostly during my world trip last year, but here’s the thing – I definitely prefer to travel with other people. I worry and stress less, and am just more relaxed overall. In any case, I made my way down to GIG airport in Rio from IAH without any issues. I had an entire row to myself in Economy Plus, so after watching the second half of Before Midnight (swoon) during dinner, I promptly lay down and slept for the next 9 hours or so. When I woke, I was surprised that they were passing out breakfast and the plane was already descending. Despite boarding the plan an hour later than expected, we actually arrived on time. Upon exiting, I made my way to customs, where I was one of the first in line, and made my way through quickly. I didn’t check any bags (traveling with just my backpack this time! ), so I headed to the arrivals area to wait for my friend Ryan, who I would be traveling with in Brazil. Ryan and I met several years ago while traveling in the Mediterranean and reconnected when I moved to Chicago. So, back to the story, I check the arrivals board and it states that his plane arrived roughly 30 minutes before mine. So I sit and wait a while, watching as more and more passengers arrive, but no sign of my friend. Then after about an hour, the board changes indicating that his flight has been delayed 4 hours. Bummer, but I figured I could hang out and read my book until he shows up and we could continue on from there. But I also figured I should check to see if there are any messages from him. I activate my iPhone for service (something I never do; I usually rely on wifi), only to see text messages and emails from Ryan indicating that his flight was delayed 21hrs (!!!). 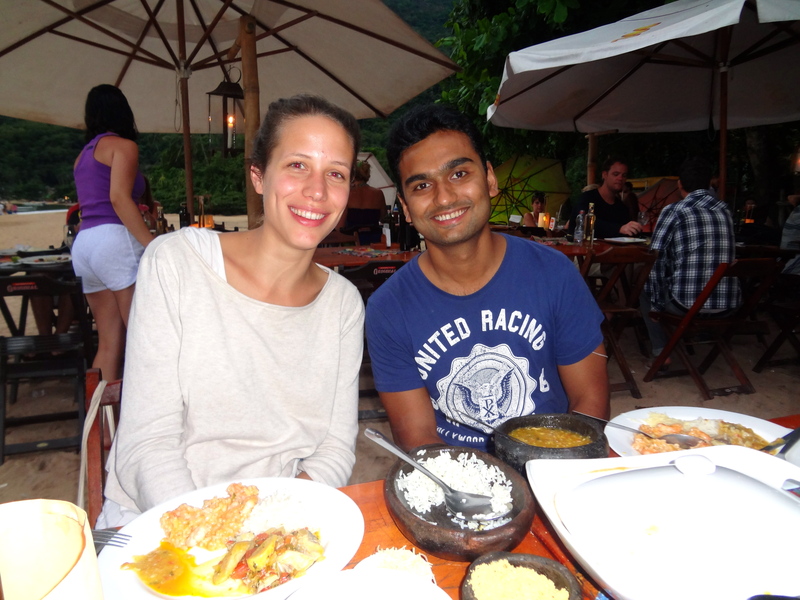 This is when panic set in because we had plans to leave the city the same day and head a few hours west to Ilha Grande. Additionally, this being Christmas day, I knew that nearly all of the hotels and hostels in town were booked. 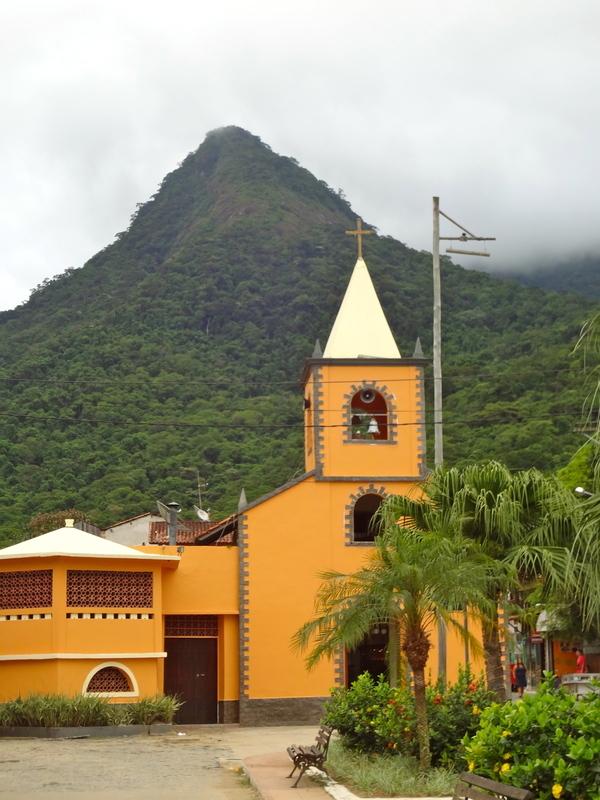 He suggested that I head to Ilha Grande on my own, and he would make his way over the following day. To Ryan’s credit, the email contained extremely detailed instructions of how I should travel to the island on my own (taxi – bus station – 3hr bus ride – ferry port – boat to Ilha Grande – walk to hostel). But it was so overwhelming that I couldn’t really think straight. So I did what any seasoned traveler would do – I called my parents to freak out! After letting them know that my plans had changed and hanging up the phone, the woman sitting behind me asked, in English, if everything was ok. I’m sure she heard me whining/ acting like a brat on the phone (“Dad, there is no airport hotel at GIG! No, I didn’t ask anyone – but I just know!”). 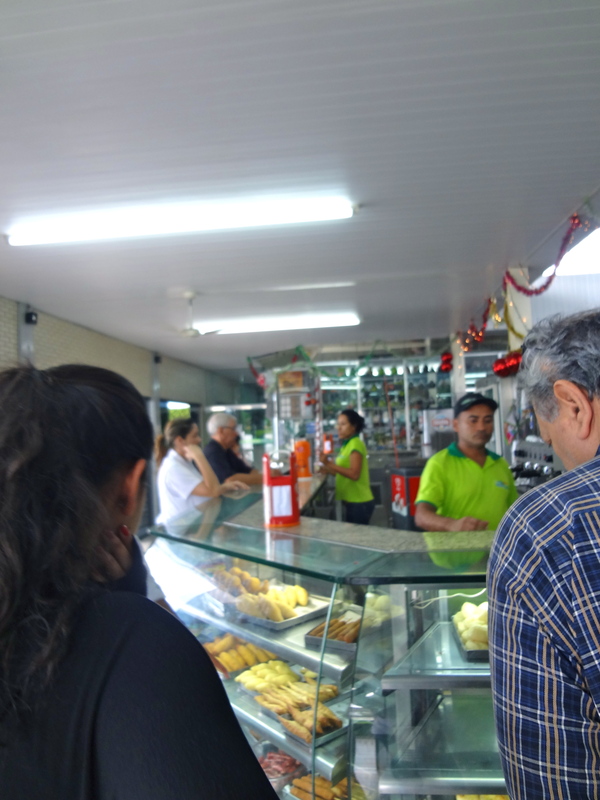 When I filled her in, she mentioned that she and her husband had rented a van and were heading to Paraty, and asked if I wanted a ride to the Angra dois Reis port. Sure, why not – because getting into vans with strangers is always a great idea! 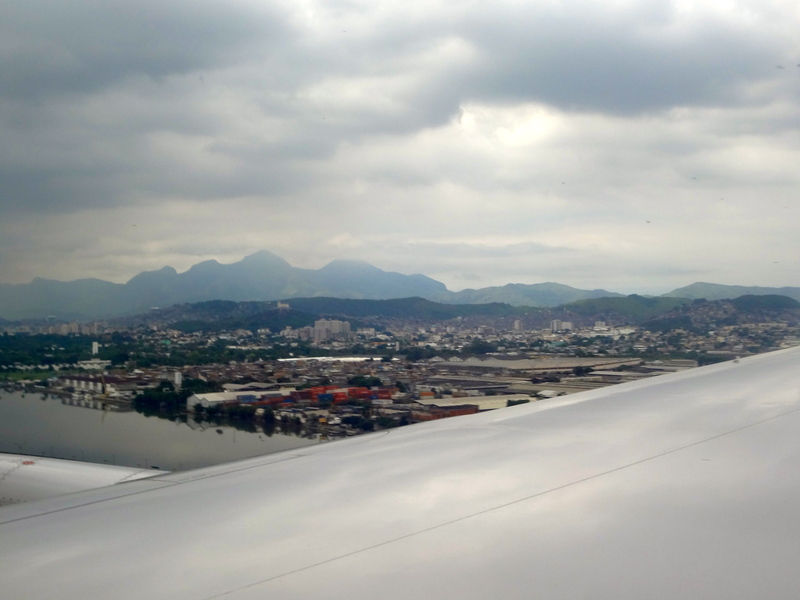 But at that point, it seemed like my best bet, as 2 hours had passed and I wasn’t sure if I could make the last bus to the port, and I didn’t have accommodations lined up for Rio. It turns out that the woman, Malini, and her husband, Giri, were on vacation with their whole family, who arrived one after the other, shortly thereafter – two sets of parents, their 4 adult children, and an exchange student from China. Let me tell you – it was a Christmas Miracle that I met this family and that they so kindly offered to help me! Not only did they offer me transport, but every one of them went out of their way to make me feel welcome. They had the most fun and hilarious family dynamic ever – I sort of wanted to change my plans and tag along with them! I will forever be grateful to them for their kindness and generosity. 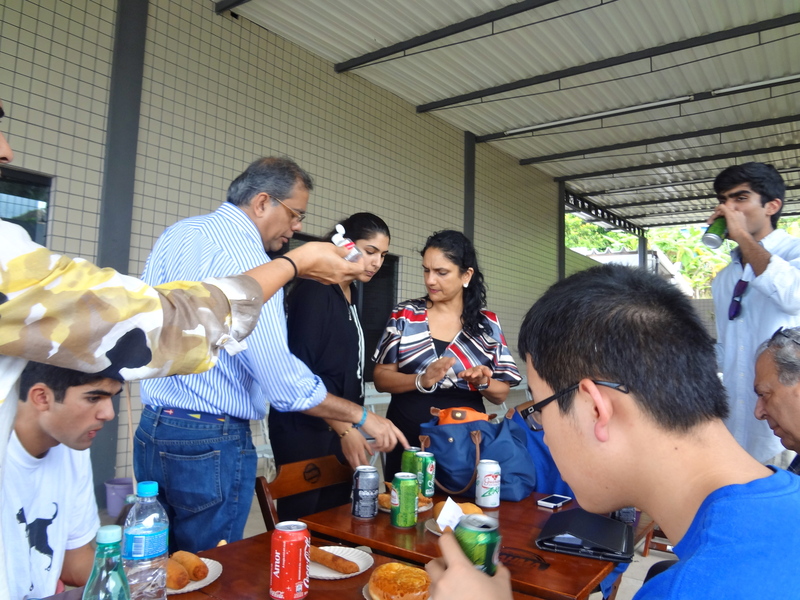 Lunch at the only place that was open on Christmas… a glorified rest stop! Surprisingly, the food was tasty; even more surprisingly, we didn’t get sick from it! Once everyone had arrived, we headed out along the coast. 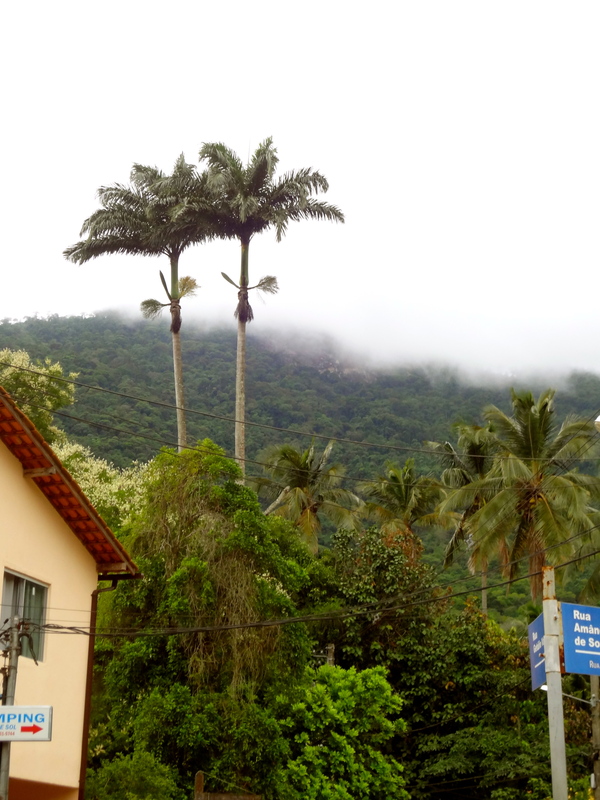 A few hours later, we made it to Angra, at which point the driver, who only spoke Portuguese, motioned for me to get out on the side of the highway. Thankfully, Giri insisted that he drive me to the port. At this point it was also getting late in the day, and I wasn’t sure if there would be any boats left. 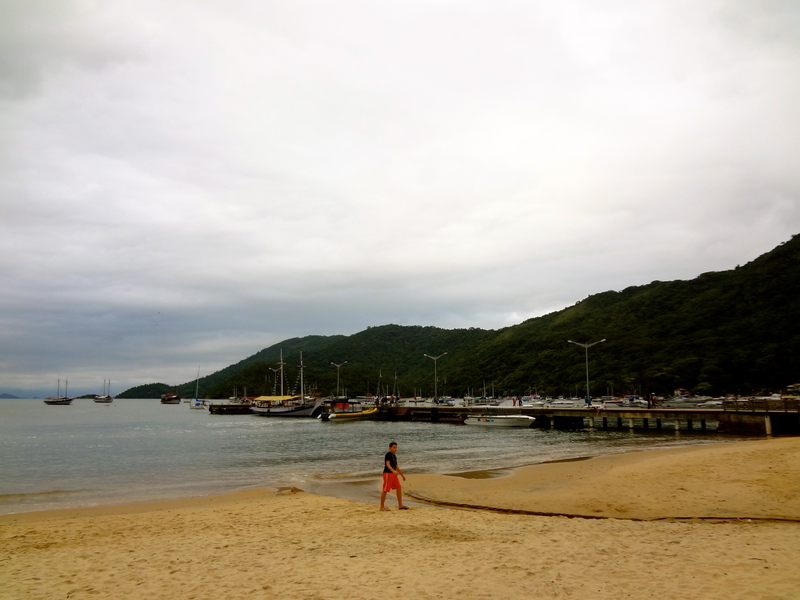 When we got to port, one of the sons kindly offered to go with me to the boat dock to make sure there was actually a boat available to Ilha Grande – and thank goodness – there was! So I said my goodbyes and then waited at the port. The boat operator (and all of the passengers for that matter) did not speak English, but I basically followed everyone else’s lead. Then we hit the water! 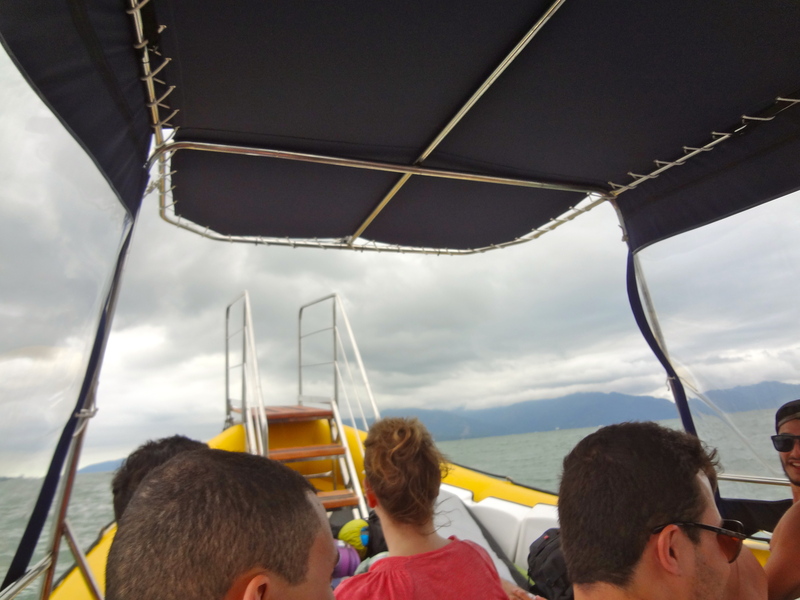 The speed boat from Angra dos Reis to Abraao. I think that I still had the day’s adrenaline coursing through my veins, because I did not have my usual bout of sea-sickness on the boat (a first!). 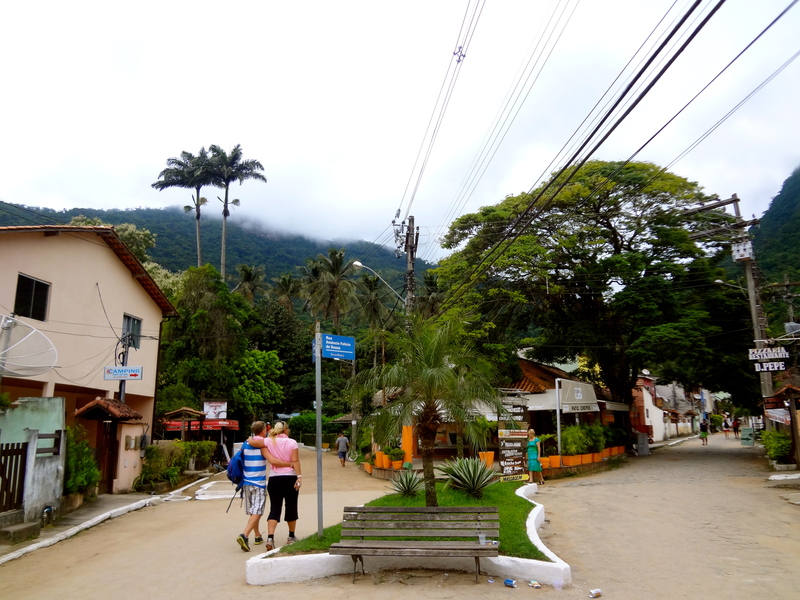 45 minutes later, we arrived at the port town of Abraao, on Ilha Grande. I made it! It was just a short 10 minute walk to the hostel, which I found pretty easily. The streets of Abraao are primarily sand, mixed with the occasional cobblestone, so I was happy to be traveling with just a backpack. And then, 30 hours after leaving my apartment in Chicago, I finally arrived at my hostel – hooray! The main dock of Abraao. I had just checked into my room, when the guy behind me asked the receptionist for dinner suggestions. So naturally, I struck up a conversation and essentially invited myself along. Hostel life! Being brave! That also turned out to be a good decision, as it led to a lovely Christmas dinner on the beach with Girish from San Francisco, Johann from Sweden, and Kat from Germany, followed by drinks and great conversation that lasted long into the night. It was a wonderful evening after a long day of travel. 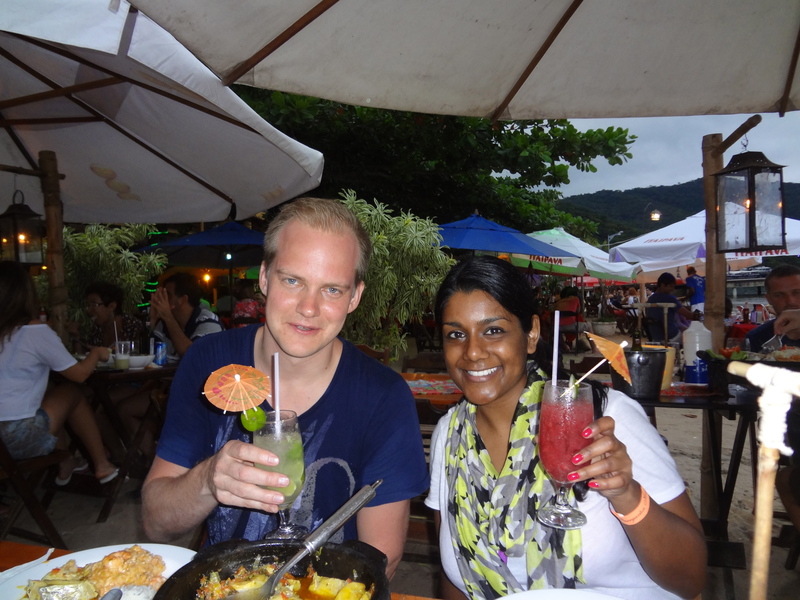 I think I was just amazed that I had actually made it to Ilha Grande! Despite the travel frustrations, an awesome way to spend my first night in Brazil! Sounds like a fun start to your trip! A little nerve-wracking, I’m sure, but it all worked out — as you said: a Christmas Miracle! Have a wonderful time, friend!! Thanks Jen! Definitely nerve-wracking because it was such an unexpected turn of events. Lucky the way things turned out! haha I wish I could say that I “rolled with it” more gracefully but at first I wanted to cry! I’m taking it as a huge accomplishment that I managed not to 😉 Thanks for the wishes, Kristy! Brazil is a wonderful place to be ‘stranded’ because the Brazilians are so welcoming. Glad it all turned out so well. Thanks Peggy! Now that I’ve had the opportunity to spend time in Brazil, I couldn’t agree with you more. As often is the case, I think my apprehension was fear of the unknown. Thanks for checking out my blog! As time goes by, you’ll get less concerned about the unknown. Just smile that beautiful smile of yours and I’m sure everything will work out fine.